A tremendous challenge for the advanced soloist !!! This is the version for euphonium and piano. The version with brass band accompaniment is also available on this site. Niccolò Paganini composed his Second Violin Concerto in Italy in 1826 and performed the premiere himself the following year at La Scala, Milan. The third movement, Allegro spiritoso, owes its nickname, La Campanella to the little bell which Paganini prescribes to presage each recurrence of the rondo theme. The character of the bell is also imitated in the orchestra and in some of the soloist's passages featuring harmonics. This movement has served as the basis of compositions by other composers, such as Liszt and Johann Strauss. 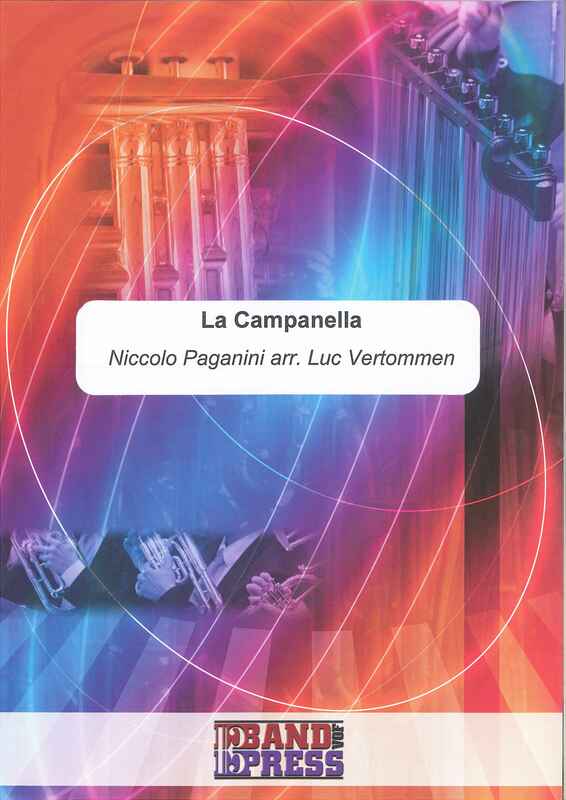 La Campanella is renowned for its intricate and technically demanding solo passages with flashy finger work, numerous double-stops and constantly bouncing bow. It was such a crowd pleaser that Paganini often chose to perform it as a stand-alone showpiece. La Campanella has become a popular display piece with transcriptions available for other solo instruments. Luc Vertommen challenged Steven Mead to the impossible by arranging La Campanella as a euphonium solo. For this virtuoso arrangement Luc Vertommen had to convert the multi-octave original full of seemingly impossible acrobatics into an (almost) playable version for a brass instrument. 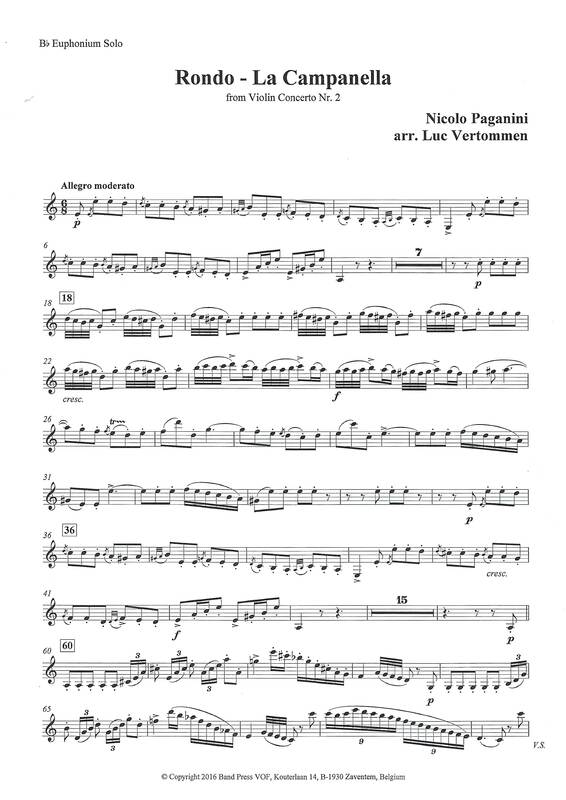 Luc Vertommen was inspired by the shortened version played by Leonid Kogan (1924-1982) one of the greatest representatives of the Soviet School of violin playing. Steve really enjoyed this ultimate workout. The sound of a little bell will always remind, even haunt him, of the countless hours necessary to master this work!